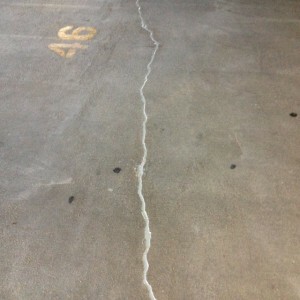 Concrete spalling is very common in parking garages. 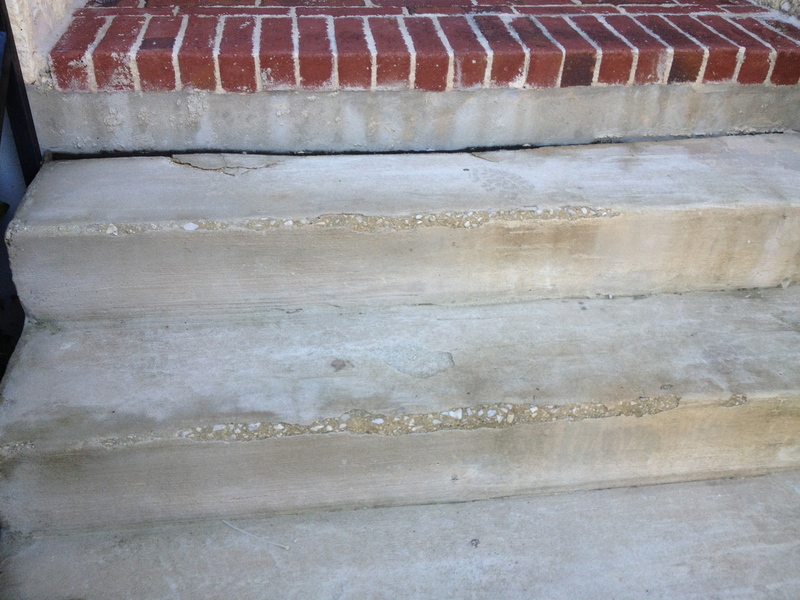 The spalling occurs when the rebar in the concrete starts to corrode due to water seeping into the concrete. As the rebar corrodes it expands causing a piece of the concrete to break off. 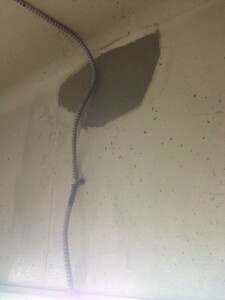 Overhead spalling concrete can be dangerous to occupants in the parking garage. Pieces of concrete could fall and hit someone causing a lawsuit. It is relatively easy to repair the spalling concrete in the parking garage if done sooner than later. 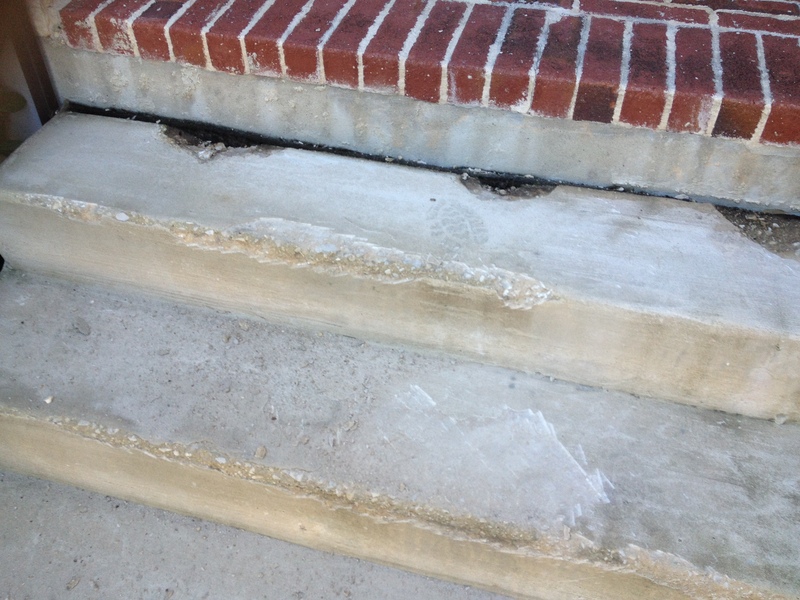 When rebar corrodes it could spread causing bigger areas to spall off. 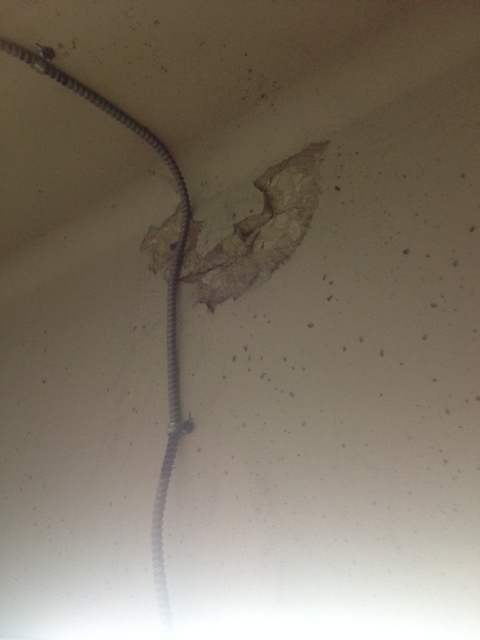 The pictures below is an example of an overhead piece of concrete spalling in a parking garage. We offer parking garage restoration services in San Antonio, TX. 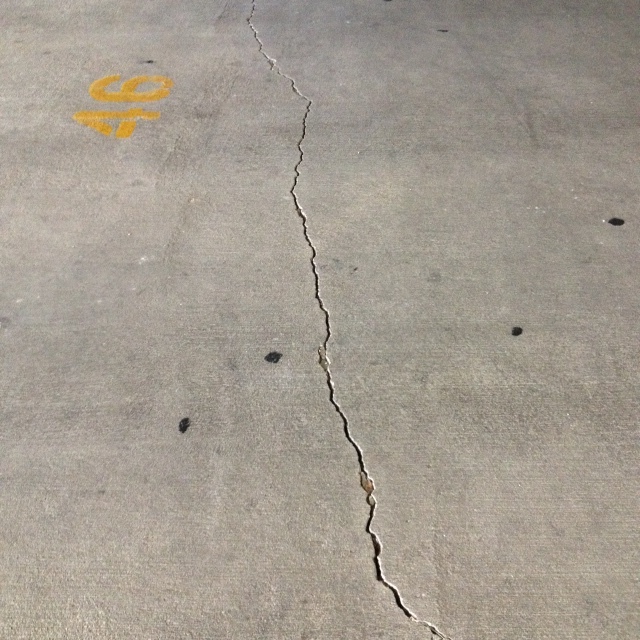 The bottom concrete slab of this parking garage had many cracks that were between 1/4″ to 1/2″ wide. 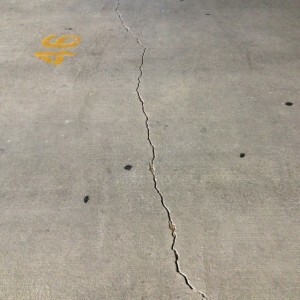 The cracks were left alone for many years allowing water to drain into them. Overtime the concrete slab started to sink because the water started to erode the sub-base. To help prevent further erosion, we cleaned out the cracks with a saw blade and then filled them with a flexible sealant. 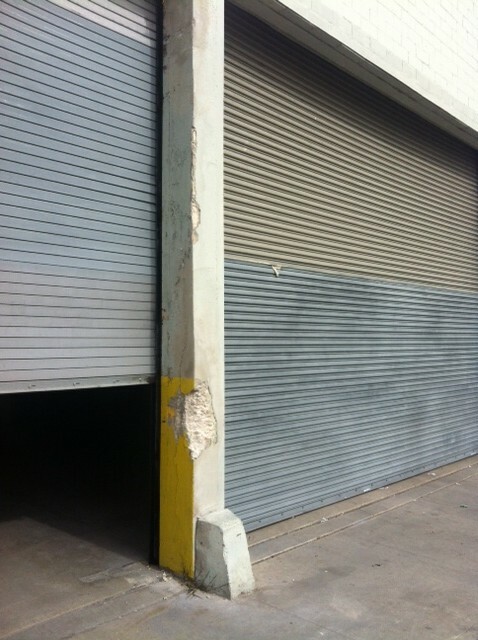 Stay tuned for more pictures in a couple of weeks of other parking garage repairs. 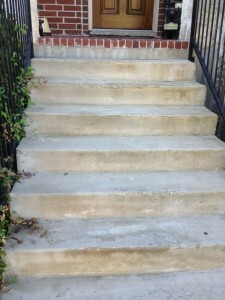 We will next be repairing spalling concrete on the slab-on-grade. 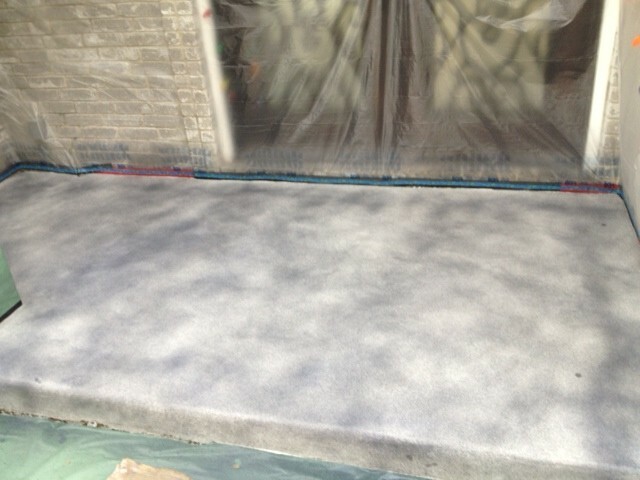 This week we prepared a mud-base for wood flooring. 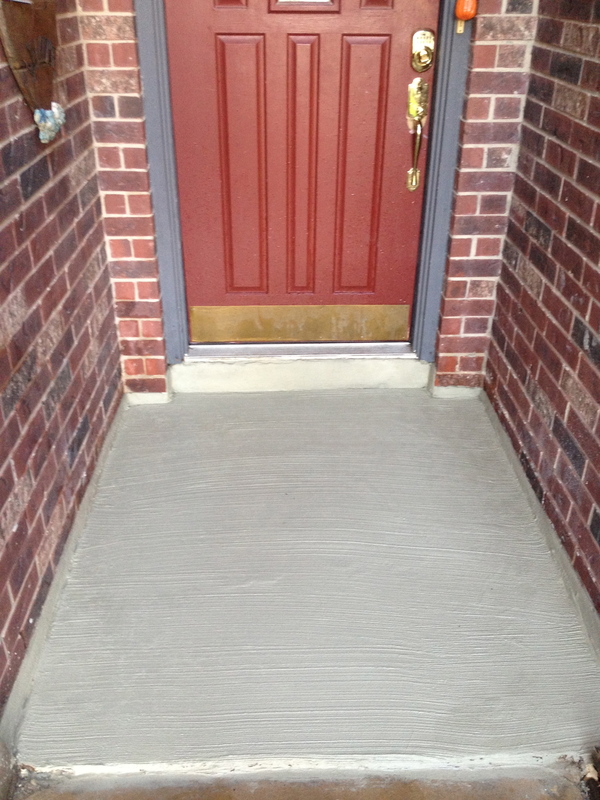 A mud-base is a cement-sand mixture that is fairly soft and brittle. 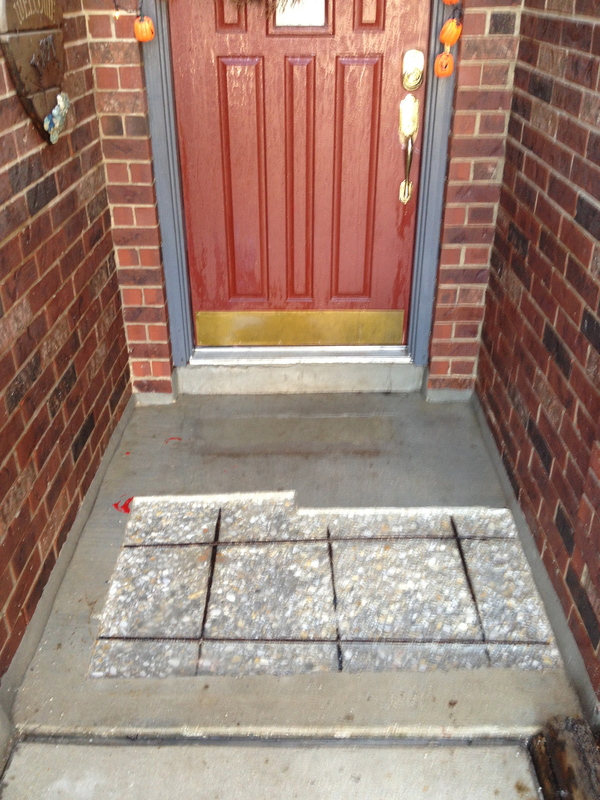 The mud-base was placed because the home builder did not build the front entrance of the house higher than the outside patio, so to bring the floor up in the house they placed a mud-base and then tile. 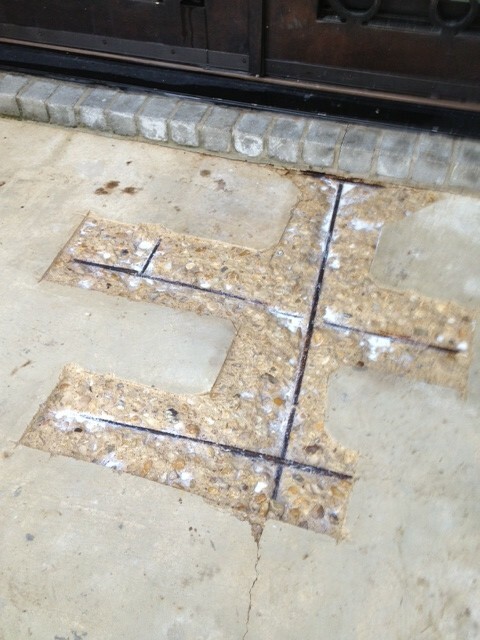 During the tile removal the mud-base got chipped up in some areas as well. 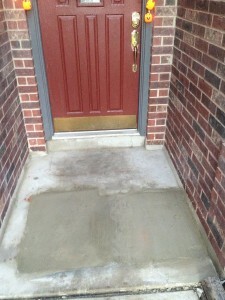 There were a lot of gouges in the mud-base that had to be filled and also leveled. 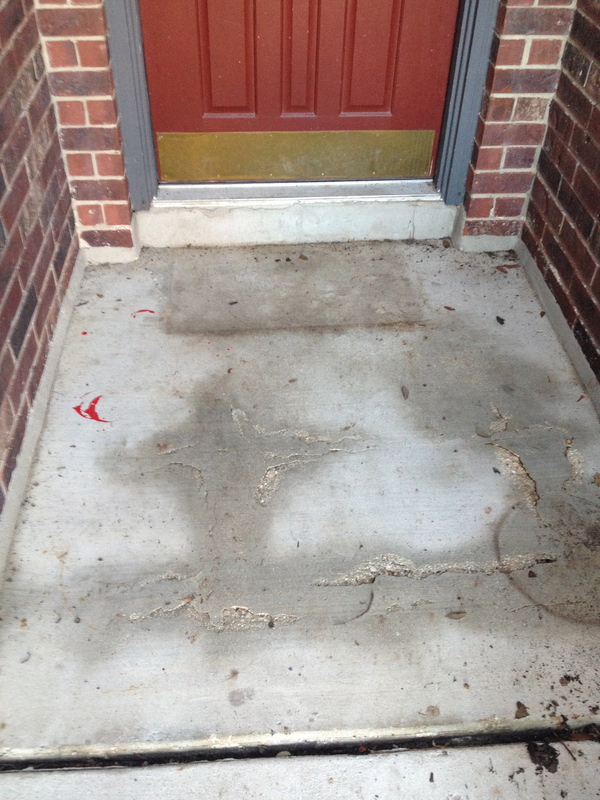 The homeowner had two options he could either remove the 2 1/2″ of mud-base and place concrete or repair the mud-base for the wood floors. 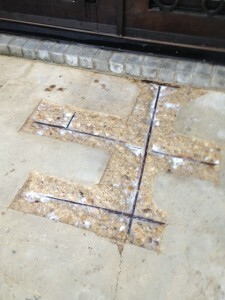 They decided to repair the mud-base. To do this we had to coat the entire surface with an epoxy to make sure the mud-base would not break apart, the epoxy also helps the special repair mortars bond properly. After applying the repair mortar to fill all of the gouges we applied a self-leveling underlayment to finish off the repair. Today we repaired a concrete column that was in pretty bad shape. The column was hit by a delivery truck backing into the loading dock. 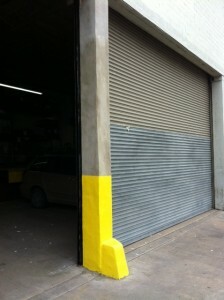 The edges of the concrete column were spalling off. 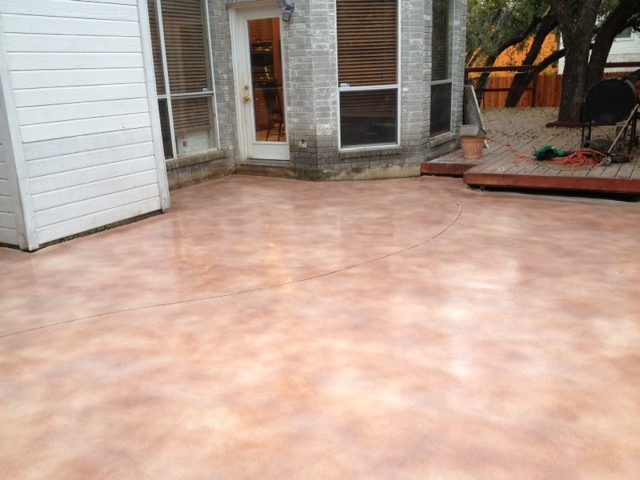 We removed all of the loose concrete, applied a bonding agent, and then a repair mortar to finish the concrete repair. 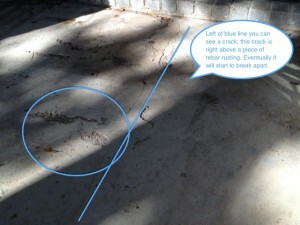 The first thing you should do when you are about to repair concrete is to try and find out what is causing the damage. This will be either obvious or it will be hard to find out what is causing the damage. 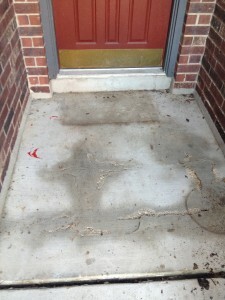 If you do not fully understand what is causing the damage, the concrete repair might fail. 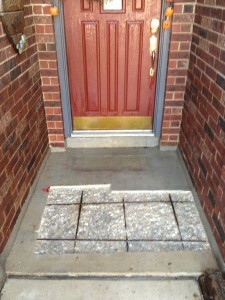 Often times the concrete is damaged when it is being placed. 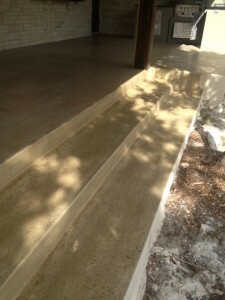 Their might be to much water mixed in the concrete, or the concrete finishers added water to the surface when troweling. 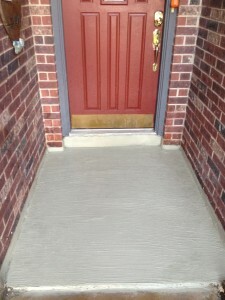 Excessive amounts of water in the concrete will cause the concrete to be weak, prone to erosion, cracking, porous, and not as abrasion resistant. You will often notice if you rub your hand on the surface of the concrete you till see a lot of dust on your hand. 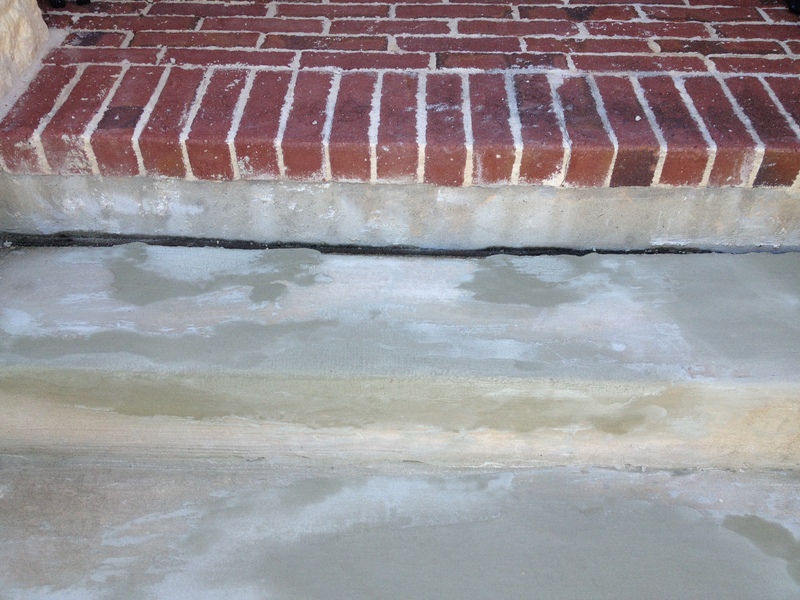 Concrete that is spalling is often caused by the rebar not being embedded far enough in the concrete. If the rebar is to close to the surface, it is more prone to rusting causing the rebar to expand breaking the top piece of the concrete off. 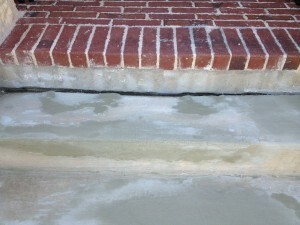 Spalled concrete is also caused by un-entrained air concrete that under goes freeze-thaw cycles; basically water will soak into the concrete and when it freezes it will expand causing the concrete to start breaking apart. 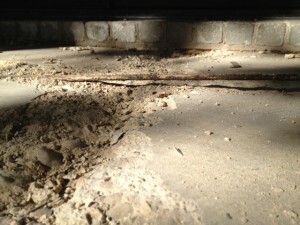 Another common cause that damages concrete is from tree roots. 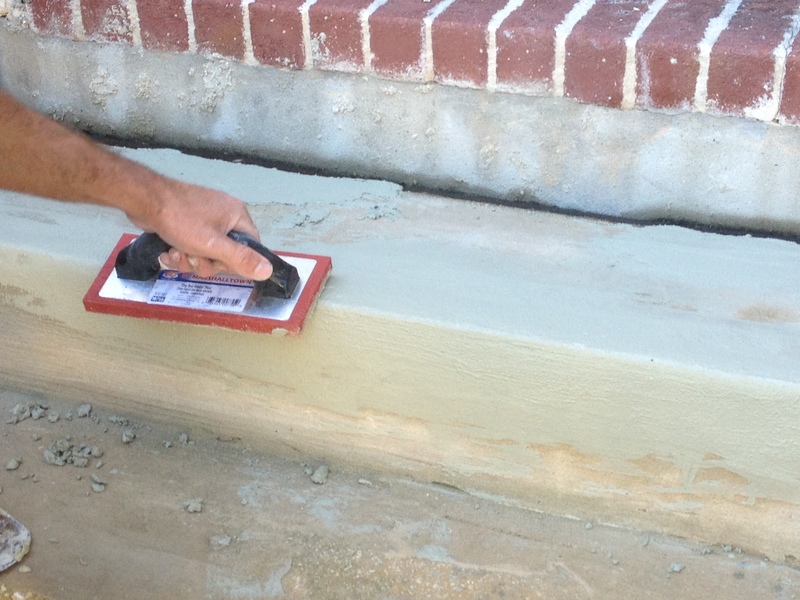 Concrete will start to crack and uplift when it is poured close to growing trees. The roots of the tree will start to uplift a section of the concrete and cause a tripping hazard that will need to be repaired. 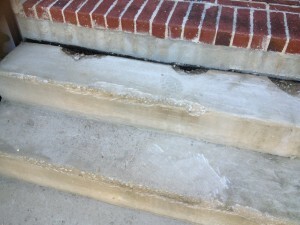 These are the top reasons to why concrete gets damaged in residential areas. 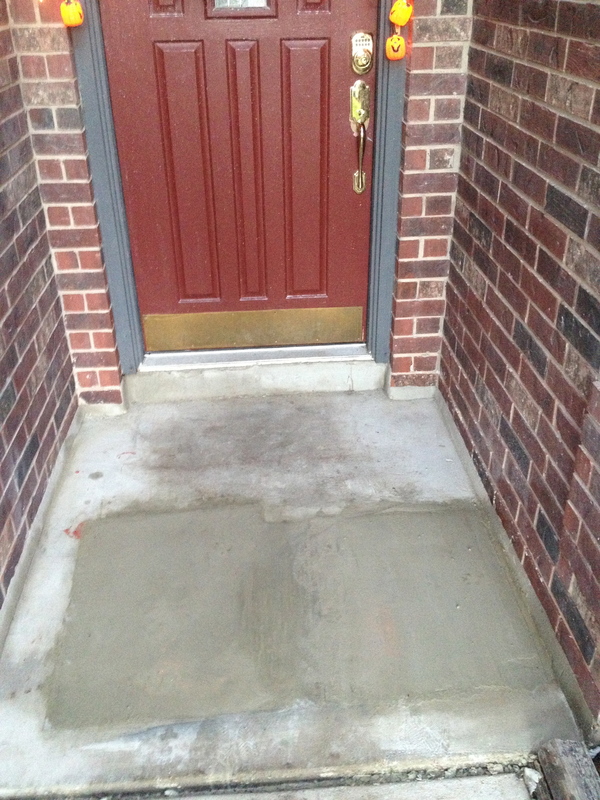 Once you have figured out what is causing the damage to the concrete, you can then start planning on repairing the concrete. 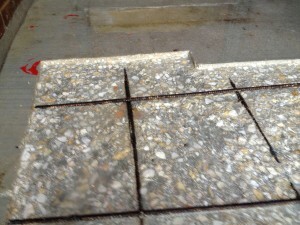 How to repair concrete under these circumstances will be in another blog post. 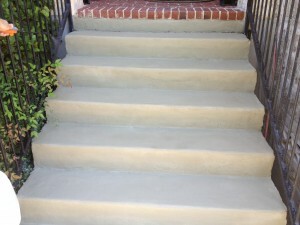 Today we got called to seal concrete steps with a solvent based acrylic sealer. The concrete steps were recently poured (three months ago), and there are rust spots that are starting to show on the concrete surface. 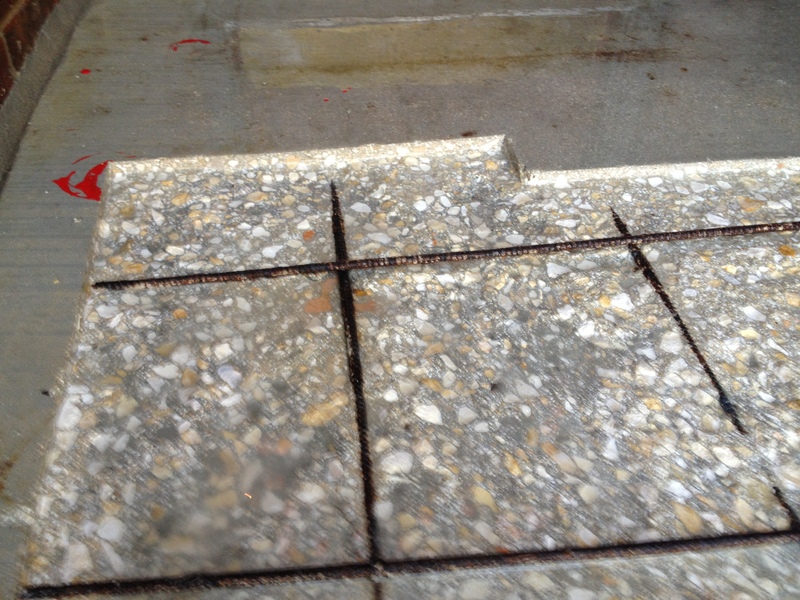 The rust spots are coming from the rebar in the concrete; most likely, the rebar is not being adequately protected by the concrete allowing water and carbon dioxide gasses reaching the rebar causing it to rust. 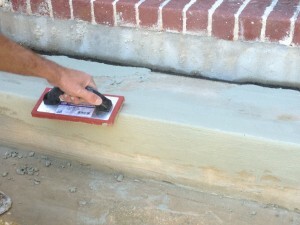 Sealing the concrete will help prevent the rebar from coming into contact with water and carbon dioxide. 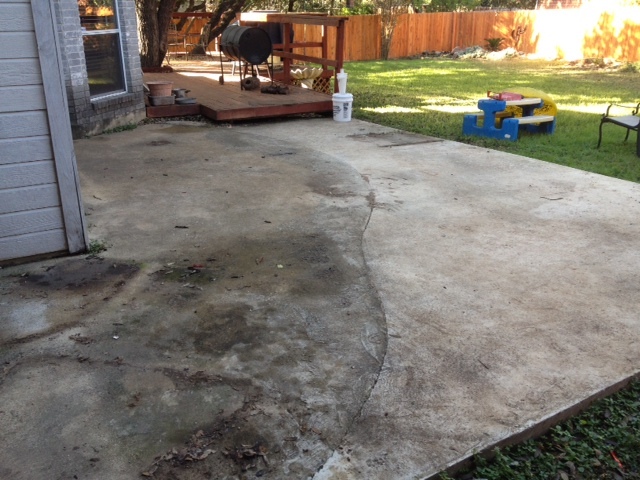 Over time the rebar will continue to rust and will expand causing the concrete to start to spall. 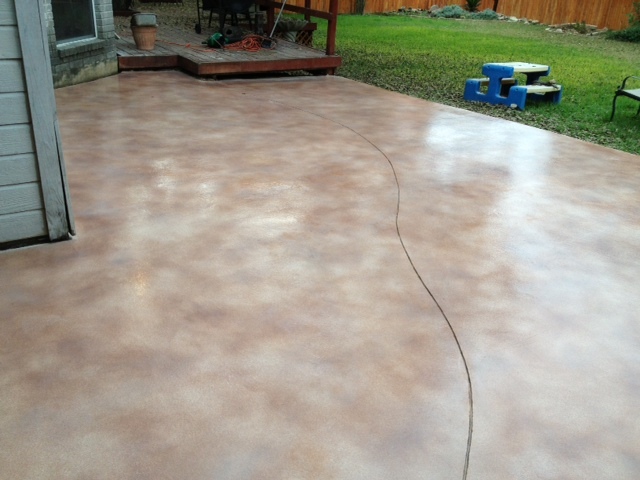 Since the rebar is already rusting the sealer will only slow down the process. We recommend sealing the concrete shortly after pouring the concrete, and also properly surrounding the rebar with concrete to add protection from water and carbon dioxide gasses. MVL Concrete offeres concrete repair and restoration services in San Antonio, Tx. 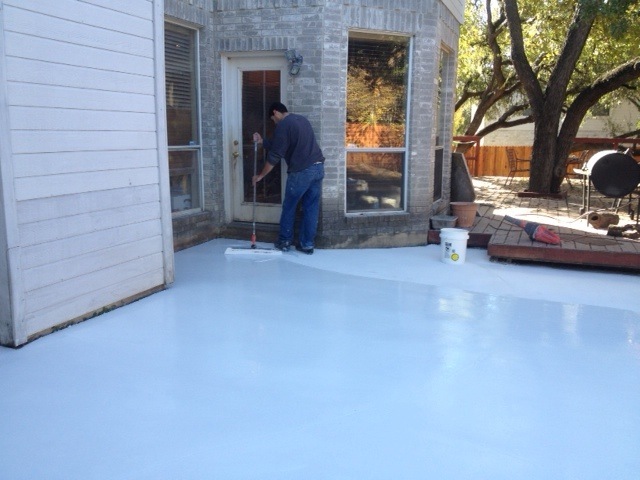 If you are having problems with your concrete, give us a call at (210)422-6116. 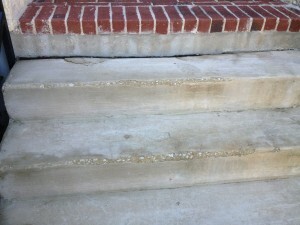 Today we fixed some concrete stairs that had numerous areas that were spalling. 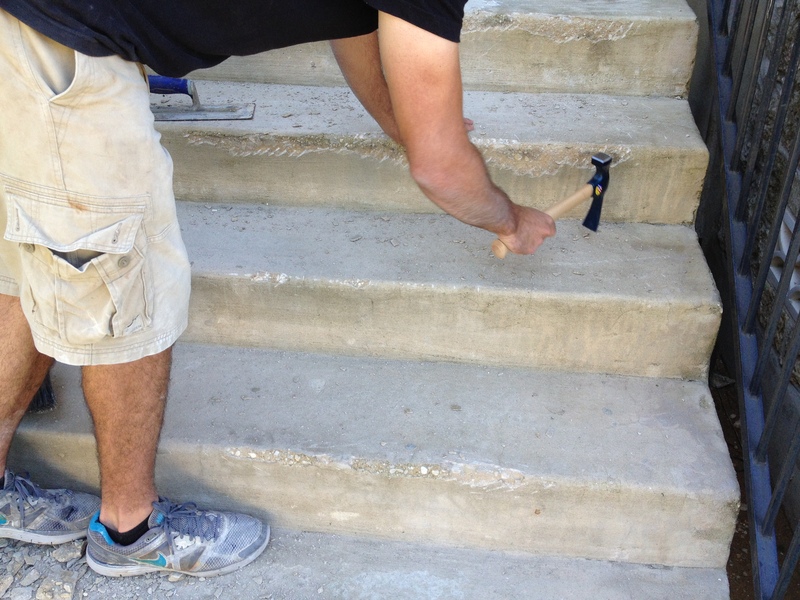 We began repairing the concrete stairs by chiseling out the loose and hollow areas. After chiseling out all of the hollow areas we cleaned the surface with water and a brush and then applied a repair mortar to the spalled areas. Once the repair mortar was hard, we resurfaced the whole stairs to blend it all in.